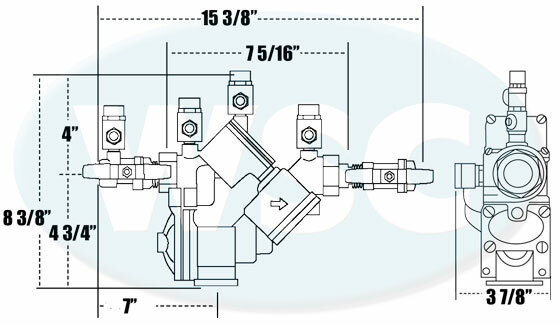 1" Watts LF909-QT Reduced Pressure Zone Assembly. Lead free, bronze body feature three covers. Known as the "Cadillac" of backflow preventers, the 909 is constructed of high quality parts for reliabilty and ease of service. Features full port, quarter turn ball valves on inlet and outlet. Fully testable. Air gap drian fitting listed below is recommended. 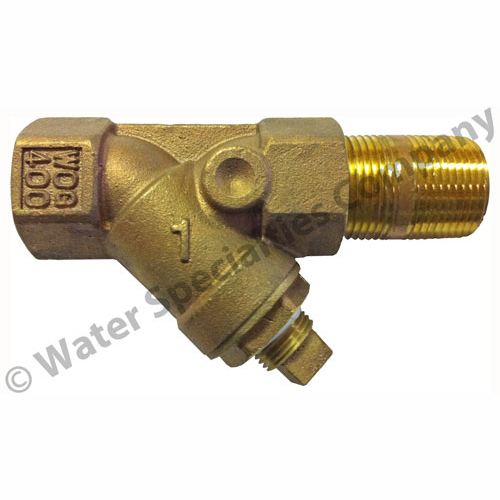 Designed to pipe a drain onto the relief valve port to avoid water damage due to relief valve discharge. 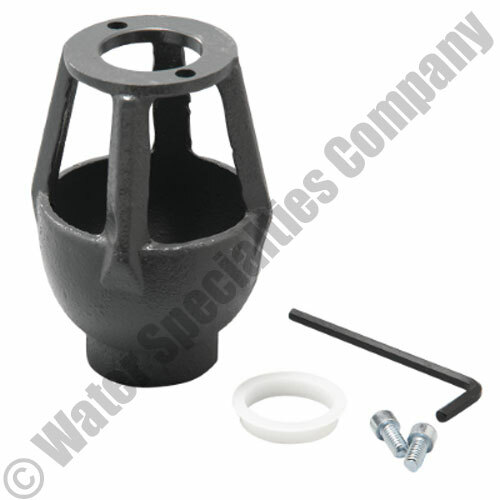 The air gap drain fitting is designed to attach to the relief port and pipe to a drain to direct any discharge to a safe place. Bottom features a 1/2" Female NPT Connection.